Using real-life samples from their own backyard, students will gain an awareness of environmental problems that they may not have had before. 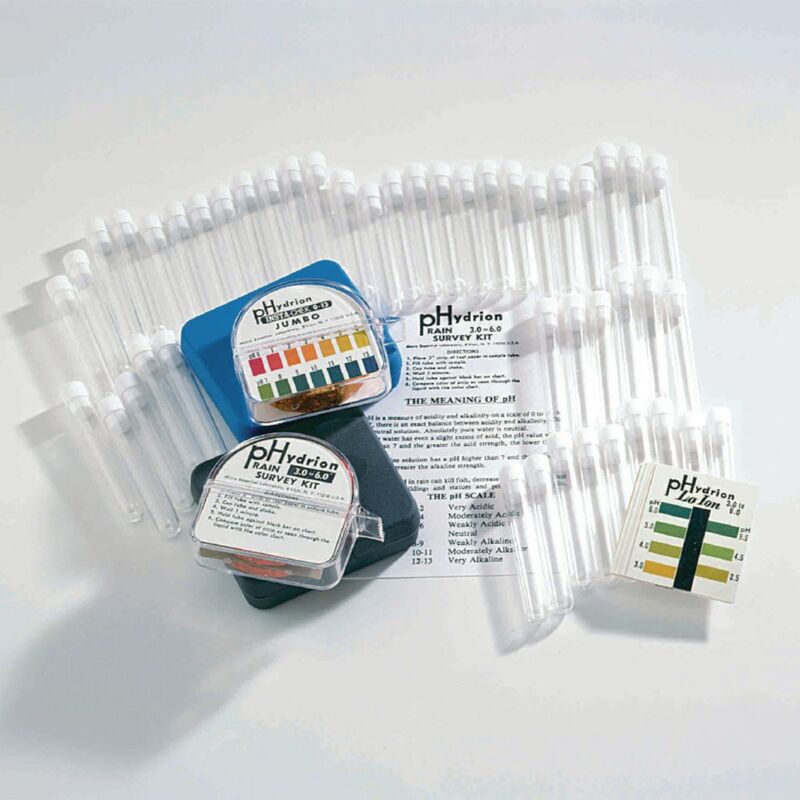 They'll perform acid rain surveys using test papers to measure pH levels from 3.0–6.0 in local rain or other freshwater sources. The kit comes with enough supplies for 400 determinations, ten comparator charts, 40 sample tubes, instructions, and Insta-Chek test paper dispenser.